The authoritative handbook for anyone planning any personal ceremony or celebration. 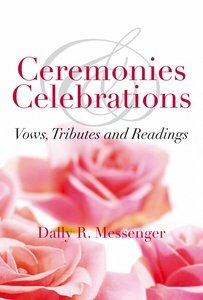 Ceremonies & Celebrations gives details of how to organise a celebration or ceremony, with example ceremonies, a wealth of suggested readings and music, together with checklists and advice on how to write and structure your own ceremonies. All of us have the right to choose and organise our own ceremonies according to our beliefs - and this book tells us what we have to do, and when.